Click “unmute” button above for sound. 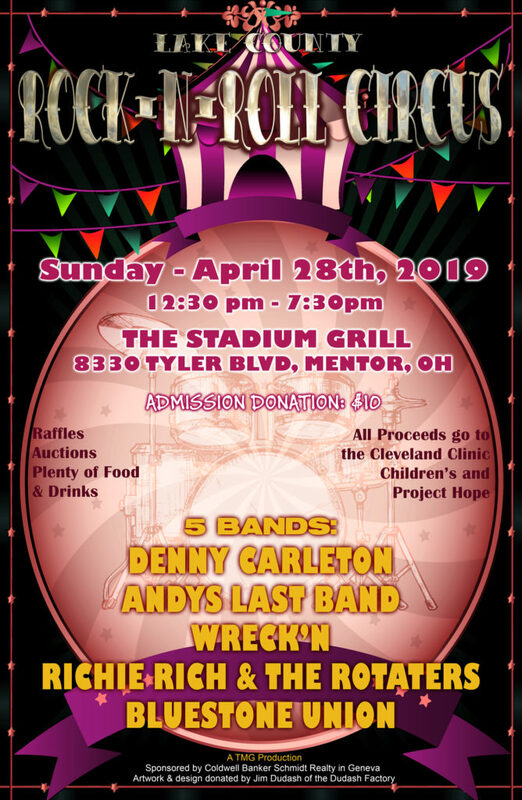 Bluestone Union is a group of five veteran musicians from Northeast Ohio dedicated to delivering the best in danceable British Invasion Era Rock from the 60’s, 70’s and even some 80’s. Featuring 6 & 12 string guitars, fantastic harmonies and even the sounds of rock organ via some special effects pedals, the band is made up of (L-R above) Ron Sukalac on lead guitar and vocals, Wally Gunn on drums and vocals, Mike Kwitowski on lead vocals and percussion, Norm Isaac on bass guitar and vocals and Jay Brindo on guitar and vocals. Bluestone Union has roots going back to the early 1970’s when a 6 member version of the group was formed and which performed at most of the major Cleveland area clubs, schools and events of the time. The current lineup includes 3 of the original 6 members, reuniting in 2012 with a focus on guitar driven British Invasion era rock from the 60’s onward from groups such as the Kinks, Beatles, Stones, Who, Byrds, Hollies, Tom Petty, some one-hit-wonders and more. We invite you to flash back to that time with a visit through our web pages here and by attending one of our upcoming shows. Check out the site navigation buttons at the top to get around as well as links to the right. We have contact info, biographies, audio and video samples from performances, merchandise, our song list as well as listings for upcoming shows and latest band news available.